The 7th Annual Ride for the Band will be on May 19, 2019 to raise awareness of and funds for the Santa Fe Concert Band. The Ride for the Band starts and ends in Santa Fe, NM on Sunday, May 19. The official start and finish is at the Santa Fe Community College. Riders can choose to pedal either 25, 50, or 100 miles and a 20 mile out and back dirt ride on the Santa Fe Trail. Every mile counts in our effort to show support and appreciation for the many SFCB musicians, Director Greg Heltman, volunteer staff, and the SFCB concerts all of which have free admission. Riders who are registered with the SFCB are riding to support the Santa Fe Concert Band (SFCB) and its programs. The minimum pledge for Ride for the Band is $100.00 which includes optional fitness training, bike advice, maintenance, etc. to prepare cyclists for the rides. Biking for the Band is good for your health. Good for the Band and good for Santa Fe. 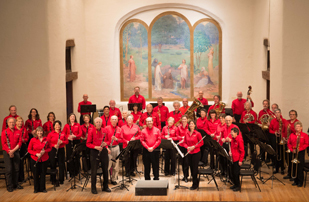 The Ride for the Band is sponsored by the Santa Fe Century Committee for the Santa Fe Concert Band.